Are you looking for the best camera app for your iPhone or iPad ? These camera apps come with some useful features which cannot be found in the native camera of your iPhone. Here we’ve listed some top camera apps for your iOS device which can help you to take photos like professionals. Okay let’s see the list of best camera apps for your iPhone or iPad. 1. Camera + ( iPhone ) – Camera + is one of the best camera apps for iPhone and it comes with lots of useful features that can help you to shoot photos like professionals. Great camera app that has lots of options to retouch and improve your photos. With this app, you can create your own photographs like professionals using different types of image effects and filters. Camera + is a fully featured camera app for iPhone that comes with many photo shooting and image enhancing features such as digital zoom up to 6x , touch exposure from focus, image effects, borders, multiple shooting modes, front flash, multiple scene modes including Night, Sunset, Beach, Portrait and many more. 2. Retrica ( iPhone ) – If you are looking for selfie camera app for free, Retrica must be on your device. One of the best selfie camera app on the Appstore and it can be installed free of cost on your iPhone. The app comes with tons of live photo filters and lets you take selfies like professionals. The app comes with 100 live filters, photo collage option, video collage option and gif maker tool. Very useful camera app that makes your photographs more attractive like celebrities. 3. 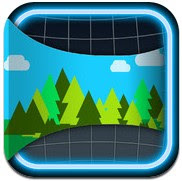 360 Panorama ( iPhone & iPad ) – Great app for taking beautiful 360 panoramas from your iPhone or iPad. The app lets you take 360 degree panoramic images quickly from your device. You can also share them to your Facebook and Twitter account. Very useful app that also helps users to save their photos to a safe and free online storage service. 4. Hipstamatic ( iPhone ) – Hipstamatic is a powerful camera app for iPhone users that comes with lots of lenses and image effects. 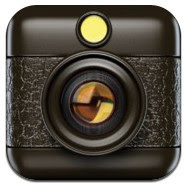 If you are looking for simple and powerful camera app for your iPhone, Hipstamatic could be very useful for your device. The app has many photo shooting features including flashes, swap lenses and hundreds of camera effects. 5. 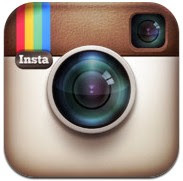 Instagram ( iPhone ) – Instagram is one of the most popular photo apps on the app store that can also be used to make beautiful photos and share them online with your friends quickly from your iPhone. The app comes with lots of effects and filters including social sharing option. 6. 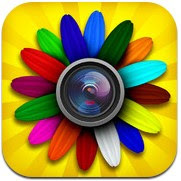 FX Photo Studio ( iPhone ) – FX Photo Studio is one of the best camera apps that can be used free of cost on your iPhone. 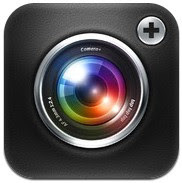 Fully featured free camera app that comes with lots of camera options and image enhancing features. FX Photo Studio is a very useful camera app that is integrated with 194 high quality image effects and filters that can only be found in few paid apps.